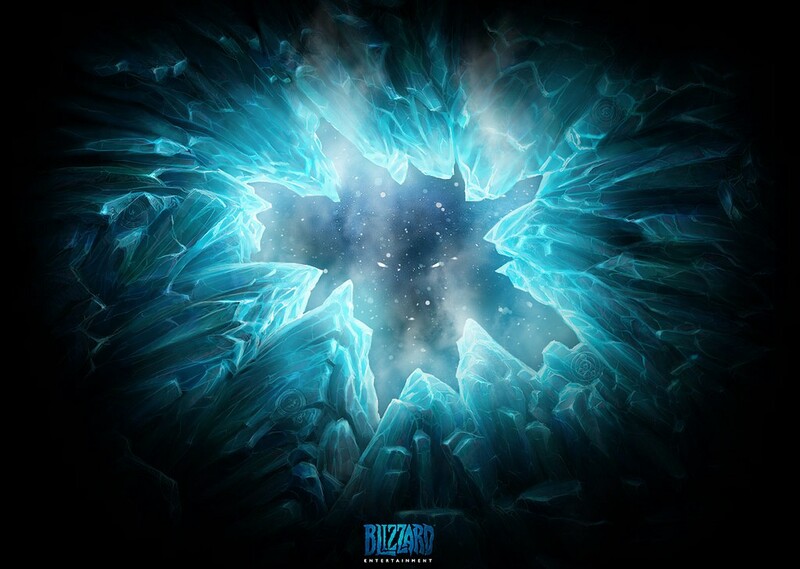 For several days now, Blizzard has been teasing die hard fans, curious on-lookers and people who seem to have nothing else to do but look for something new with an ever changing splashpage on it’s official site, www.blizzard.com. 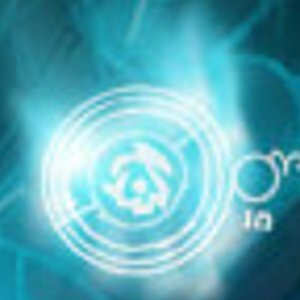 What is it and what does it mean? If things continue they way they’re going right now, we’re about to get a new blizzard game. 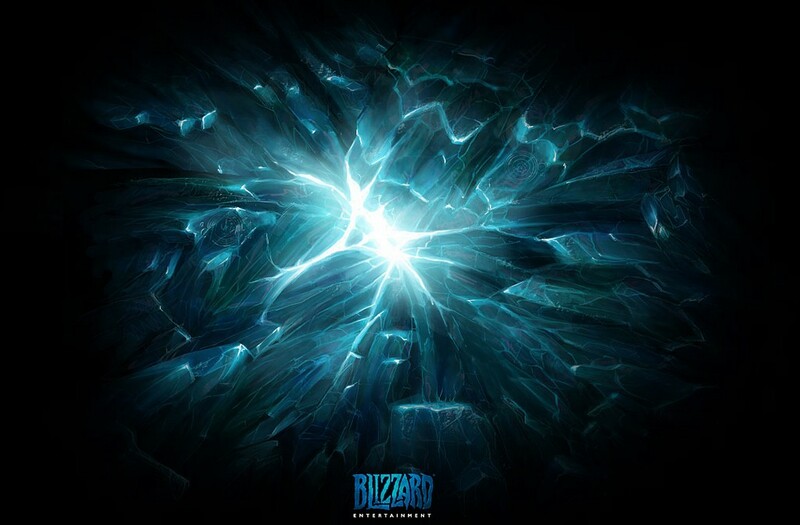 The current splash page for Blizzard is seen below (click for a larger view). 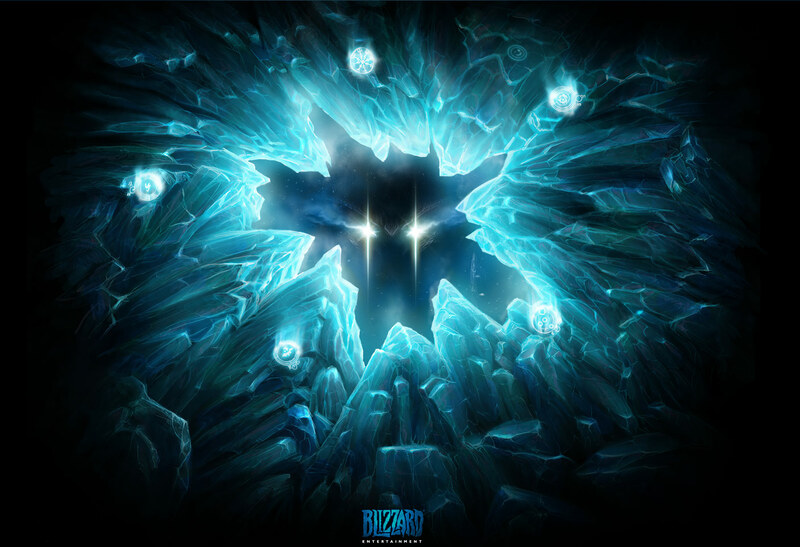 The frozen or crystalline structure appears to continually break with each update (for comparison, head to the end of the post) as if the owner of those menacing glowing eyes are from some malevolent being. Sounds omnious? If you thought so too, we might be seeing Blizzard’s introduction to the much awaited and currently designated vaporware Diablo 3. How did the splash page point to D3? Starcraft II was already officially announced so it would be redundant if Blizzard made another go at it. 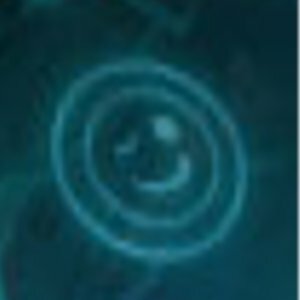 Starcraft Ghost is still up in the air although it could be a possiblity. 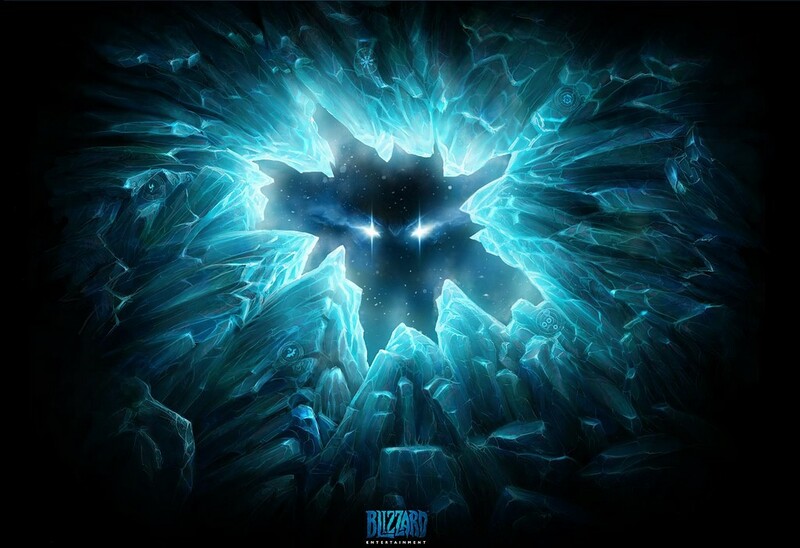 The upcoming WoW expansion Wrath of the Lich King was already announced (falling into the same category as Starcraft II) as already pointed out by keikun. 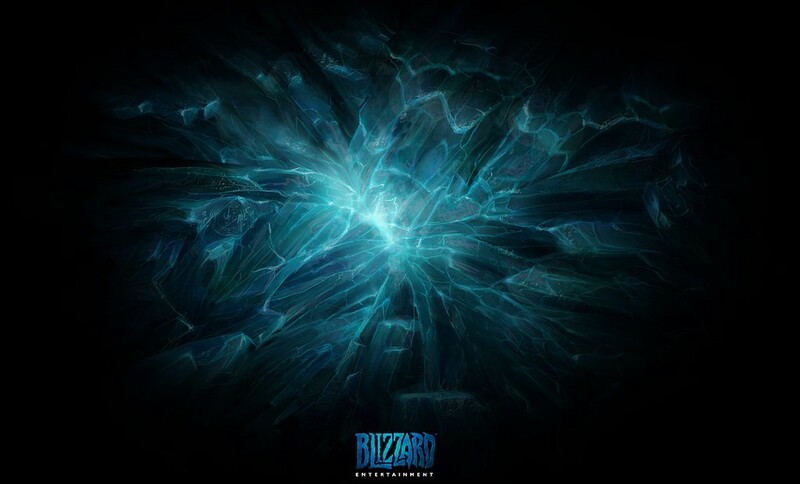 The frozen/crystalline structure resembles the Soulstone (if you have no idea what that is, I’m afraid you have to replay Diablo 2). Official? 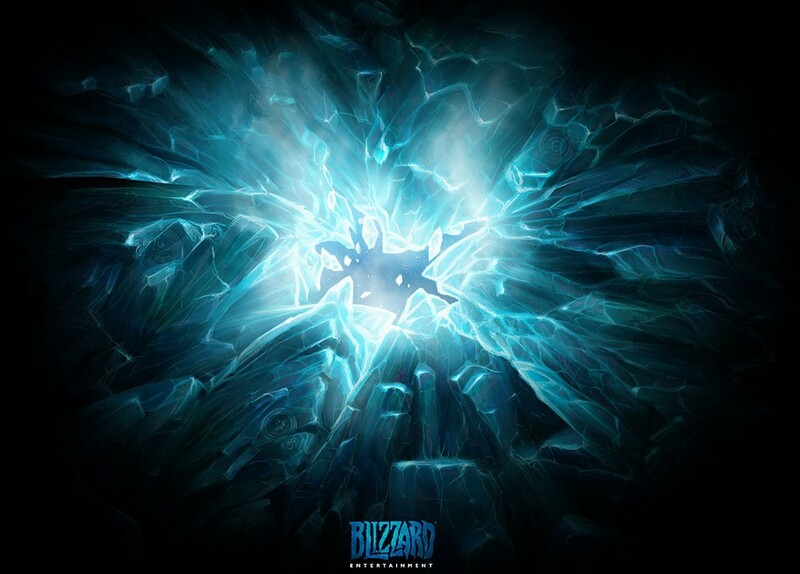 Check Blizzard.com now. We got a new Diablo Game folks. 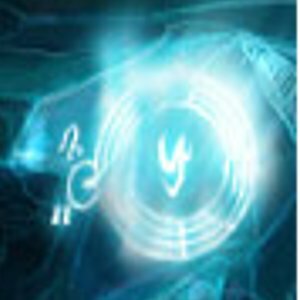 While waiting, you can still replay Crisis Core with my compilation of Materia Fusion Guides. If you haven’t noticed, Crisis Core Materia Fusion is really that deep. When Deckard Cain returns to the ruins of Tristram’s Cathedral seeking clues to new stirrings of evil, a comet from the heavens strikes the very ground where Diablo once entered the world. The comet carries a dark omen in its fiery being and it calls the heroes of Sanctuary to defend the mortal world against the rising powers of the Burning Hells–and even the failing luminaries of the High Heavens itself. Explore a fully-realized Sanctuary–the living, breathing gothic fantasy world of Diablo III rendered in gorgeous 3D. Rain Hell on your enemies wielding the interactive environment as a weapon: lay cunning traps, turn destructible objects against your foes, and use environmental obstacles to your advantage–all powered by the Havoc physics system. Experience the intensity of multiplayer Diablo III over an all-new, wickedly-enhanced Battle.net platform with numerous enhancements to make connecting with your friends easier–and cooperative gameplay more fun. 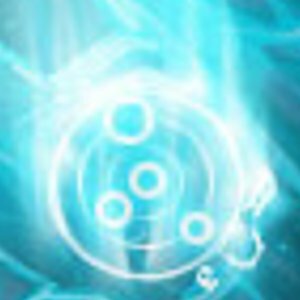 D2 is one of the few games I still love to play so I’ll take D3 as an opportunity to become a child again XD. currently sending you my cell no. TechBlog.phs last blog post..iPhone 3G is coming on July 11 (but not yet in �pinas). Watch the guided tour. wow, i really like to play it na.